You need: numbered dice + player pins. Rules: Students take turns rolling the dice and taking steps accordingly. When land, they have to read the date written on the diary. This downloadable worksheet is recommended for elementary school students at Elementary (A1) level. It is a valuable material for strengthening your groups' Speaking and Reading skills. 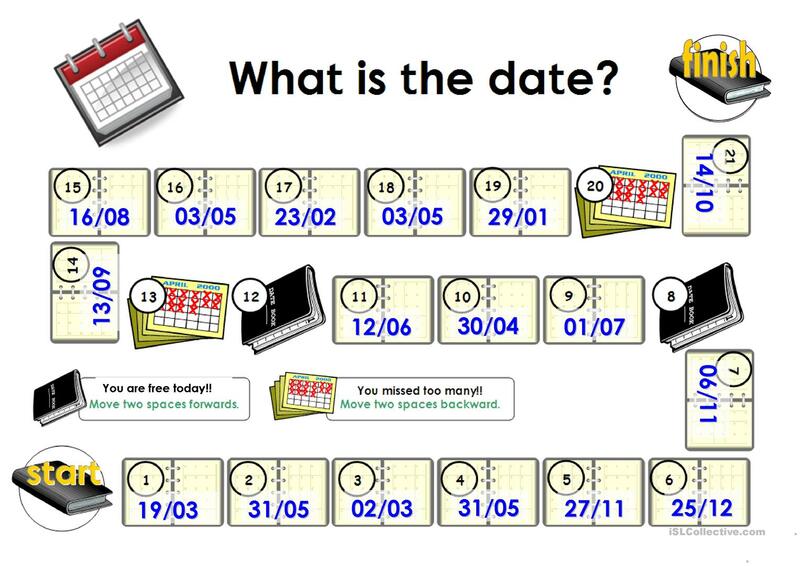 It centers around the vocabulary topic of Dates.